Two years since its inception, Adminovate is going from strength to strength. The not for profit annual event organized by Alan Meaney and Des O’Donohoe from Fund Recs, and Pete Townsend from Norio Ventures was set up to challenge ideas and look at pressing issues within the Funds Industry. 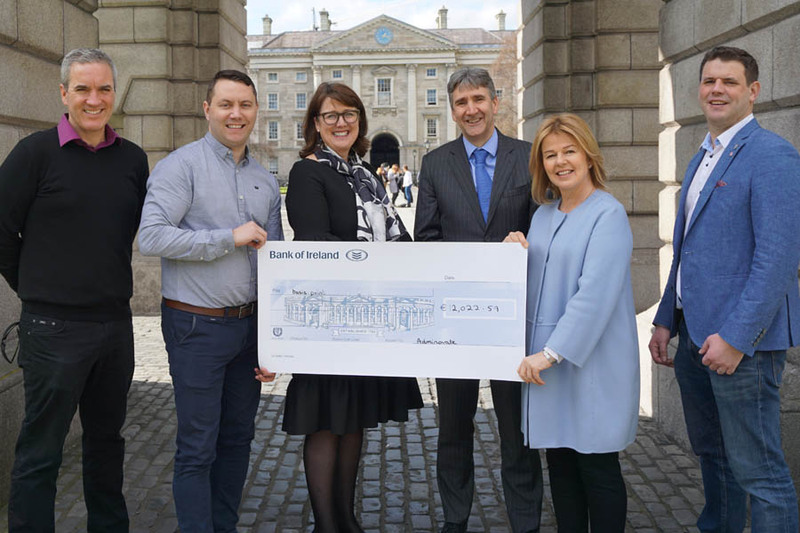 Taking place in Trinity College Dublin on 19th January 2019, Adminovate selected two charities to support, basis.point and the Trinity Access Programme (TAP), that are both active in the field of education. The conference raised €24,000 and donated all proceeds beyond facilities and catering costs to their two selected charities, each receiving just over €12,000. Guest speaker, Lorraine Rooney of MUFG Investor Services, was invited to talk of her experiences representing both organisations. Her very powerful speech entitled ‘Obstacles, Opportunities & Ripple Effects’ focused on her experience of both volunteering with basis.point and coming through TAP. She spoke passionately about how both initiatives provide opportunities for educational advancement and individual flourishing to individuals who may not otherwise receive such opportunities. Adminovate was created to help answer pressing industry questions by showcasing innovation in people, processes and technology across the industry, aiming to inspire the next generation of leaders in the funds industry. In addition to the funding that we receive, Adminovate provides basis.point with a great platform from which to showcase the work we are doing and sign up new Patrons and Supporters. And this year was no exception. The conference was an immense success with a great turnout and an array of engaging, innovative and inspiring speakers, leaving the attendees with plenty of food for thought. Thanks again for the great support shown by Adminovate, and we look forward to next year’s event, which is sure to be bigger and better again!